Mother of the bride dresses need to look elegant without taking away from the bride. The Alyce Designs for mother of the bride dresses provide a contemporary look with a variety of bodices and other dress features to choose from. 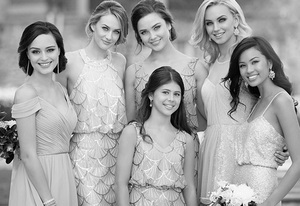 Dimitra Designs is an authorized dealer of Alyce Paris Mother of the Bride Dresses. At Dimitra Designs, mother of the groom dresses are available in a number of contemporary colors, ranging from pinks to blues, and everything in between. You can choose the length of your dress based upon the formality of the wedding, ranging from knee length to floor length. Many mother of the groom dresses come with a corresponding jacket, which is ideal if you wish to remain a little modest. The collection of Alyce Paris Mother of the Bride Dresses comes in a wide array of styles, so you never have to settle. 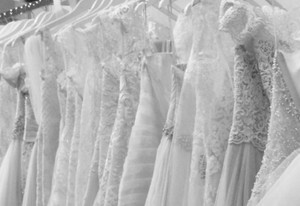 Your son or daughter’s wedding is a special day for you and them, and the dress you choose needs to be perfect. Find the perfect mother of the bride dress at DimitraDesigns.com!